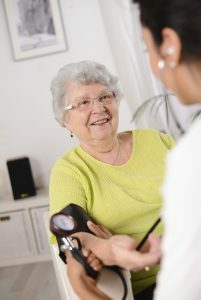 Greene County Home Healthcare is now offering FREE, monthly health screenings at a variety of locations. Starting in May, enjoy blood glucose and blood pressure tests as well as complimentary refreshments every second, third, and fourth Thursday of the month in Worthington, Bloomfield, and Odon. All test results will be forwarded on to primary care providers. 8:30 a.m. – 10:30 a.m., breakfast served at 9:00 a.m.
Time TBD, likely 8:30 a.m. – 10:30 a.m. 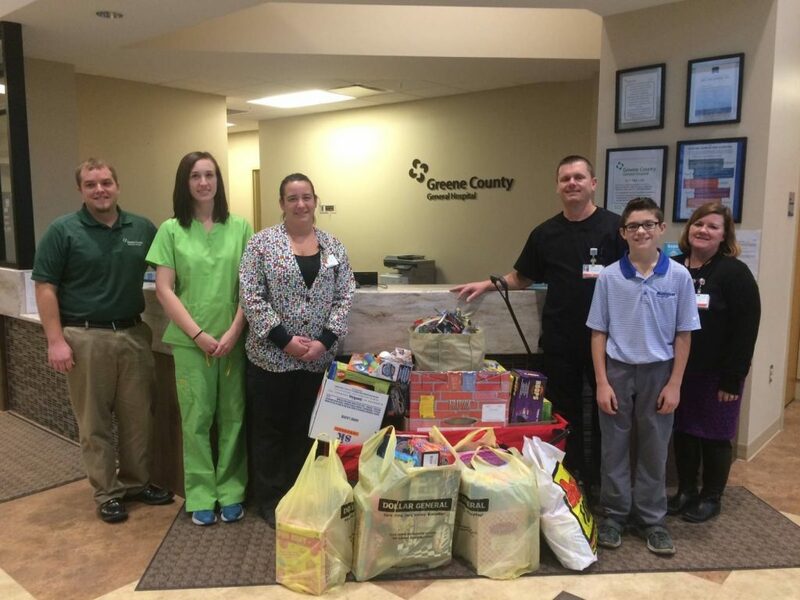 When a local young man decided to collect toys and donate them to pediatric patients at Greene County General Hospital, we were not only impressed with his initiative and generosity, we were deeply touched by his compassion. Read all about Greene County’s own ‘Happy Gilmore’ HERE. After listening to numerous Dugger residents, parents, and students, the Northeast School Corporation Board of Trustees moved to delay the vote on the proposed closure of the Union Jr./Sr. High School on Monday. The board tabled the reorganization item giving the Save the Union High School Committee two weeks to provide additional information regarding the proposed closure. After listening to a school board presentation on the NE School Corporation’s funding, debt, and applicable changes the meeting opened to public comments. Ellis also noted that he realized the school has issues, but stressed the importance of the committee being a part of the overall decision. “I think we can do some things to stabilize the $600,000 deficit… We are prepared to take litigation as an option. We are asking to postpone the vote for a minimum of two weeks,” he added. The Union Jr./Sr. High School Student Council president also brought student concerns to the forefront, specifically addressing valedictorian and salutatorian issues, leftover school funding, possible scholarships, and student jackets. “We’re hurting right now. It hurts us… We’re people not pawns and we want to be treated like people,” she stressed. A Jefferson Township resident highlighted bus and transportation issues that will likely arise with such a closure. A Union graduate spoke on the close-knit experiences available to students who attend Dugger Elementary and Union Jr./Sr. High. “There are three and four generations that have walked the same halls at Union, that’s a rare opportunity in today’s society,” the grad said. A Dugger resident stressed the importance of the stability of Union’s enrollment numbers as well as Union’s continued educational improvements. Another proponent of Union Jr./Sr, High School stressed that such a closing would be a lifestyle change for students and parents alike. “The [proposed] closing would be a lifestyle change and the consolidation decision would create a significant financial and educational hardship on the families that reside in Dugger,” he said, adding the closing would mean a 38 mile round trip to North Central for many families. The Union proponent, also stressed the education hardship that such a change would have on students, noting the amount of students unable to participate in extra-curricular activities due to transportation costs. In addition, several more proponents of saving Union Jr./Sr. High brought concerns such as the overall town, property values, and community experience to the forefront. On the other hand, one woman spoke out as a proponent for change. “If you want to be mad at somebody go to the state house and lobby for more money for education,” she said. It’s wonderful to have small classrooms at Union Jr./Sr. High School, but what about the students at North Central, she asked. The NE School Board also consisted of a prior presentation that focused on a recent feasibility study that in part stressed that the school corporation’s largest debt is at Union Jr./Sr. High School – with the school functioning at 34.3 percent of its actual capacity. According to the same feasibility study, North Central Jr./Sr. High is functioning at a capacity rate of 56.2 percent. The presentation also noted the poor structural shape of Dugger Elementary and Union Jr./Sr. High School. The decision to delay the vote will allow the Save the Union Committee to meet with the board in executive session to discuss the committee’s proposal. RALEIGH, N.C… Sensus, a leading provider of clean technology solutions, has appointed Randy Bays to the position of president. Bays will lead overall operations of the company. Bays joins Sensus from Kinetek where he was CEO and led the company through significant technology expansion and strong international growth while maintaining a great culture for employees. He also spent more than 10 years with GE in various leadership, engineering and operational positions. Sensus is a leading clean technology solutions company offering smart meters, communication systems, software and services for the electric, gas, and water industries. Sensus technology helps utilities drive operational efficiency and customer engagement with applications that include advanced meter reading, data acquisition, demand response, distribution automation, home area networking and outdoor lighting control. Customers worldwide trust the innovation, quality and reliability of Sensus solutions for the intelligent use and conservation of energy and water. To follow Twitter updates from Sensus, visit twitter.com/sensussmartgrid.